For a limited time only, Samson Awnings are offering a free Vibrabox worth £195 with every purchase of a Weinor retractable fabric awning. This fantastic offer will help improve the automation of your awning. What types of awning are there to choose from? 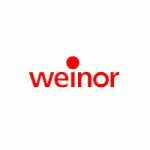 This special offer covers awnings by Weinor. Many different types of awning are available, but they are most commonly grouped into Full Cassette, Semi Cassette and Open Cassette. This refers to the casing that houses the awning and arms when it is retracted. Vibrabox is a product made by Somfy, who specialise in making a number of products revolving around automation. The Vibrabox is a particularly useful product when buying and operating an awning, as it is a wind sensor, retracting the awning when it senses strong winds, preventing the awning from being damaged. This helps automate your awning and ensure you can rest assured it will not be damaged by strong winds. To get one free, all you have to do is purchase a Weinor retractable fabric awning during April! Samson Awnings supply and install only the best quality outdoor living products, which is why we are happy to deal with industry-leading Weinor. For Weinor Awnings only. Offer expires 30th April 2019. For more information on our awning wind sensor offer, please contact us.